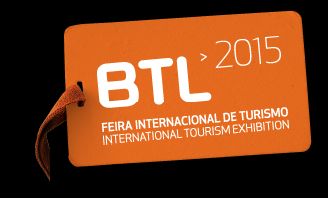 Meeting point and a starting point – this is what the BTL 2015 – the International Tourism Exhibition in Lisbon proposes to all visitors from the 25th of February to the 1st of March. Tourism in Portugal will focus on variegated facets and representatives from north to south will strive to enhance their many qualities along the unfolding events during the coming week. The main attraction over the past year as seen Lisbon as a preferred destination for City & Short Breaks and the old capital has grabbed the opportunity and turned decrepit and abandoned XVIII century buildings into modern, clean and attractive places to stay. And not only in the capital…. Another attraction will be Nature Tourism and since over the years as an urban development tradition only the coastline and the three large cities in Portugal – Lisbon, Coimbra and Porto – have been largely developed, there is much to do and see in that area. The Algarve, always considered a separate reign, will be showing what can be done to minimize impact from large developments and show visitors that there is more than beach and golf to life, if only curiosity would take them away from sea and grass. Religious Tourism is also an untapped sector and there is more than Fatima to savour – it almost seems as if every village still holds to heart their patron saint and their need to share their faith with all who care to visit – and that is quite an extraordinary feat in itself. Wellness has come to stay yet seemingly undiscovered by most Portuguese who can take this opportunity to find another way to recover from modern life and at a lower rate – an expensive business to set up in a country most suited to see it implemented. This was THE week for Tourism and Eco Fairs across Europe. BTL, ECOBUILD and ITB are all taking place during this period. BTL – International Tourism Exhibition (27Feb/3Mar) celebrated its 25 years and Golf and Wine Tourism were the main attraction. You can find around 900 exhibitors, more than 45 destinations and an expected 65,000 visitors. ECOBUILD, the future (5-7Mar) showcases the entire range of sustainable construction products for new build, refurbishment, residential and commercial projects. With 1,500 organisations exhibiting, it offers 1,100 experts, myriad of products and 180 conference and seminar sessions with a Future Materials Gallery. ITB BERLIN (6-10Mar) has Indonesia as the Official Partner Country this year. With over 10,500 exhibitors, 113,000 trade visitors and a total number of expected visitors of 172,000, it is Europe’s leading travel trade show, where one can find all there is to know on the latest trends in tourism (from booking to youth travel).